This package of 9 nights 10 days gives you the best of state. It offers the sightseeing tour of Delhi covering key attractions like Red Fort, Jama Masjid, Rajghat, Qutub Minar, Humayun’s Tomb, President House, Parliament House, India Gate, Lotus Temple, and several others. Sightseeing tour of Jaipur, the Pink City of India. Major attractions to see in Jaipur, the capital and largest city of Rajasthan, include Amber Fort, Jaigarh Fort, Nahargarh Fort, Jal Mahal, City Palace, Ranthambore National Park, one of the largest national parks and wildlife sanctuaries and bird watching at the Bharatpur Bird Sanctuary. A representative of Rover Holidays will receive you with warm welcome from New Delhi International Airport in New Delhi and transfer you to the hotel. Dinner and overnight stay will be at the hotel. 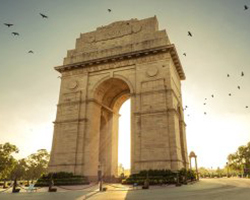 Take breakfast and then embark on sightseeing tour of Delhi covering key attractions like Red Fort, Jama Masjid, Rajghat, Qutub Minar, Humayun’s Tomb, President House, Parliament House, India Gate, Lotus Temple, and several others. On time get back to hotel for dinner and overnight stay. Take breakfast at the hotel and then drive to Jaipur. Reach there and check in at the pre-booked hotel. Spend rest of the day at leisure or on enjoying your own individual activities. In the evening explore colorful local bazaars and enjoy shopping. Get back to the hotel for dinner and overnight stay. After breakfast check out from the hotel and then embark on day long sightseeing tour of Jaipur, the Pink City of India. 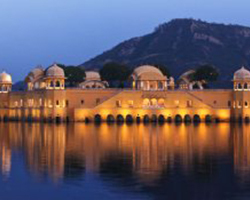 Major attractions to see in Jaipur, the capital and largest city of Rajasthan, include Amber Fort, Jaigarh Fort, Nahargarh Fort, Jal Mahal, City Palace, City Palace Museum, Chandra Mahal, Govind Devji Temple, Laxmi Narayan Temple, Albert Hall Museum, Hawa Mahal, Jantar Mantar Observatory, and others. On time get back to the hotel for dinner and overnight stay. Have breakfast and then check out form the hotel. Proceed to Sawai Madhopur (Rajasthan) which is worldwide famous for Ranthambore National Park & Tiger Reserve. Check in at the hotel on arrival at Sawai Madhopur. Freshen up and relax. In the evening enjoy a stroll through the abundant natural splendors. Get back to the hotel for dinner and overnight stay. Take your breakfast and then check out from the hotel. Enjoy morning and afternoon scheduled safari. Ranthambore National Park, one of the largest national parks and wildlife sanctuaries in the Northern India, is best known for its large tiger population. Here you can easily spot royal Bengal tigers ambling or basking under the sun. Other animals can be spotted here include striped hyena, sloth beer, chital (spotted deer), sambar deer, wild boar, Indian leopard, nilgai, and gray langur. Ranthambore Fort, built in the 10th century, is another attraction within the sanctuary. On time get back to the hotel for dinner and overnight stay. After an early morning breakfast at the hotel visit the Ranthambore National Park for nature watch. Post lunch check out form the hotel at Sawai Madhopur and then drive to Bharatpur (Rajasthan) - famous for historical monuments and Keoladeo Ghana National Park (formerly known as the Bharatpur Bird Sanctuary). The sanctuary is a UNESCO World Heritage Site. On arrival in Bharatpur check in at the hotel. Freshen up and relax. Dinner and overnight stay will be at the hotel. 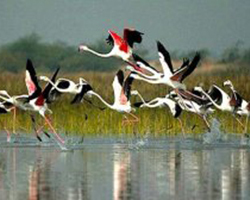 Have hearty breakfast at the hotel and then go for bird watching at the Bharatpur Bird Sanctuary. Enjoy rickshaw ride to explore the bird park, the world’s best bird areas and one of the richest bird areas in the world. The sanctuary is haven for nesting of resident birds and visiting migratory birds including water birds. On time get back to Bharatpur hotel and check out. Then drive to Agra (Uttar Pradesh) en route making a halt at Fatehpur Sikri (Agra). Fatehpur Sikri is abandoned Mughal capital and a UNESCO World Heritage Site. Attractions here include Panch Mahal, Buland Darwaza, Dargah, Jodha Bai Palace, and several other historical monuments and ruined buildings. Continue your journey to Agra and check in at the hotel upon arrival there. Dinner and overnight stay will be at the hotel. Have very heart breakfast at the hotel. 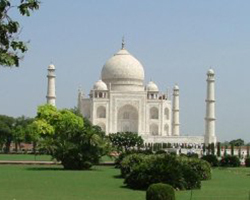 Thereafter embark on full day guided city tour of Agra. Agra is internationally famous for magnificent Mughal monuments including Taj Mahal and Agra Fort, both are UNESCO World Heritage Sites. Visit the Taj Mahal, one of the most beautiful and most visited buildings in the world. Famously known as the Symbol of Love, the Taj Mahal was built by Mughal Emperor Shah Jahan in the loving memory of his wife Mumtaz Mahal. Later, visit the Agra Fort also called the Red Fort or Lal Quila of Agra. Later visit the Itimad-ud-Daulah Tomb, built by Noor Jahan, the wife of Mughal emperor Jahangir, in the memory of her father Mirza Ghiyas Beg. Next, make an excursion to Sikandra to visit the Akbar’s Tomb. On time get back to the hotel for dinner and scheduled overnight stay.